My dad rarely cooks nowadays, but accordingly to my mom, he can actually recreate quite a few classic Asian dishes that taste just like the ones from the restaurants. Unfortunately, only my mom had the chance to savor these foods from who knows how many years ago. As time passes by, my mom became the master chef in charge of our household's daily meals. As for my dad, it seems like he's only willing to prepare all sorts of "liquid" form items such as soup, dipping sauces, and juice blends. Even though I might never find out how good his actual cooking is, but at least I can say that the deliciousness of all these liquidy creations are guaranteed. I'm not quite sure how should I name this recipe. It's not as runny as milkshake and not as thick as puree. So I've decided to leave both names up there. You can simply adjust the number of avocados used to achieve the consistency of your likeness. In a regular sized blender, add in 4 avocados, 1 cup of mixed nuts, 1 to 2 tablespoons of honey, and pour in the milk all the way to the top. Blend till smooth. Taste and see if more honey is needed. 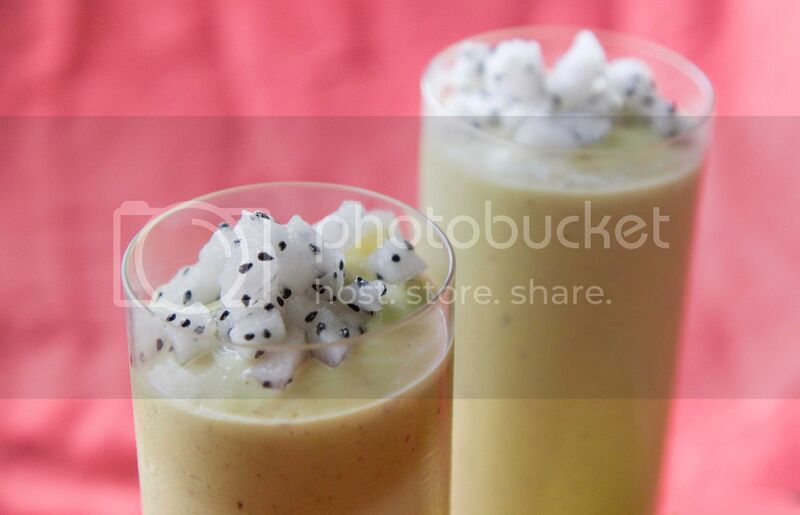 Use only 2 avocados if you prefer a more milkshake-like consistency. 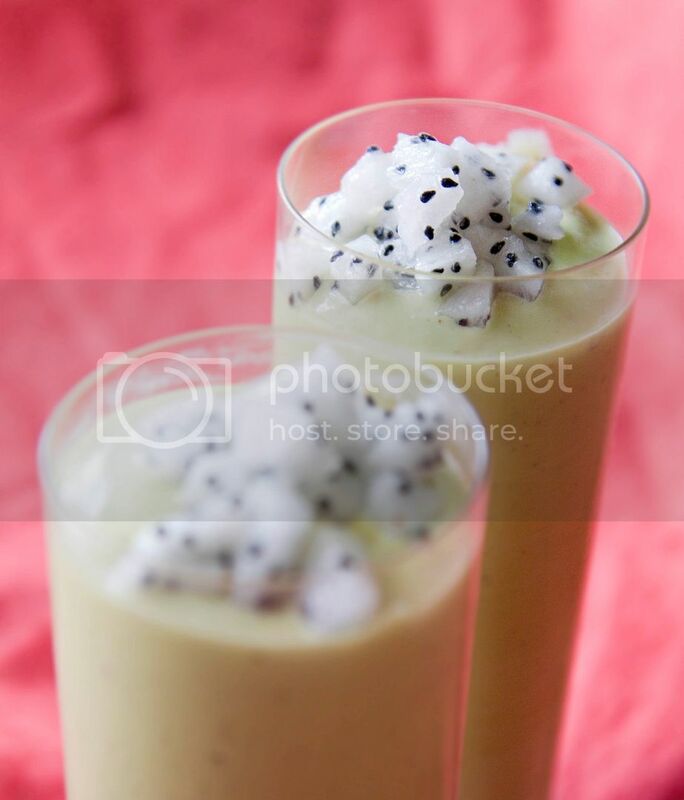 The recipe here yields a more puree formed avocado and milk blend, which is better served with a spoon and eat like a healthy afternoon treat. Top the mixture with some freshly chopped white meat dragon fruit/pitaya. If you can't find fresh pitaya, a nice and crunchy pear will do the same trick. 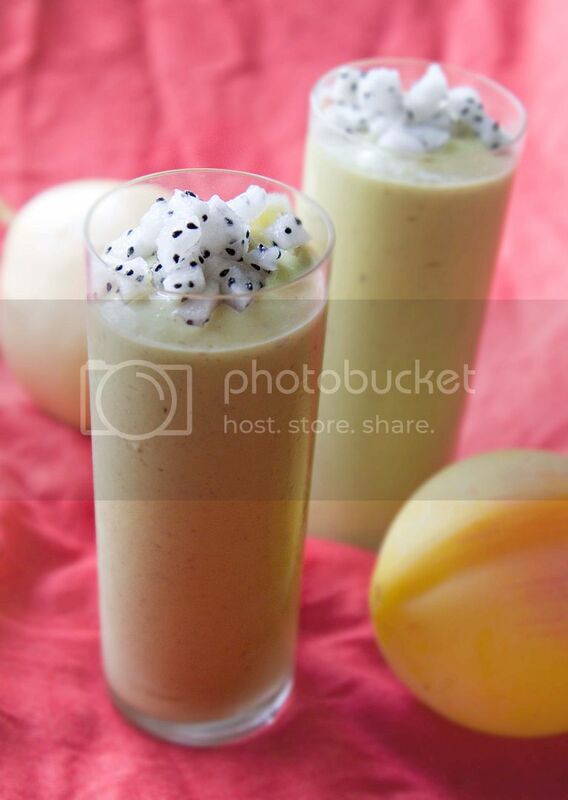 This puree/milkshake can also be served as a breakfast item. Just pair with some toasted bread, lettuce, and turkey slices. What a way to start a healthy day!